We’ve seen plenty of different ideas from plenty of case manufacturers to differentiate them from others. There are those manufacturers that try to wow you with graphics, those that try to innovate with crazy designs; personally, I like it when they get back to the basics. Lian Li is one of those companies that have been consistent throughout their tenure, with only a few questionable designs throughout the years. With the introduction of the PC-6, Lian Li thinks they can bring this “back to basics” reviewer to chassis nirvana. First, the PC-6 is an all aluminum case that measures 210mm x 475mm x 498mm (WxHxD) and features a removable all aluminum front bezel. This case weighs in at only 11 lbs making it one of the lightest cases we have in the lab. The PC-6 is compatible with ATX, Micro ATX, and Mini-ITX motherboards and can also accommodate video cards that are up to 440mm in length. There are three 5.25 in external drive bays and an HDD system that can handle three 3.5 inch and one 2.5 inch HDD’s. What? 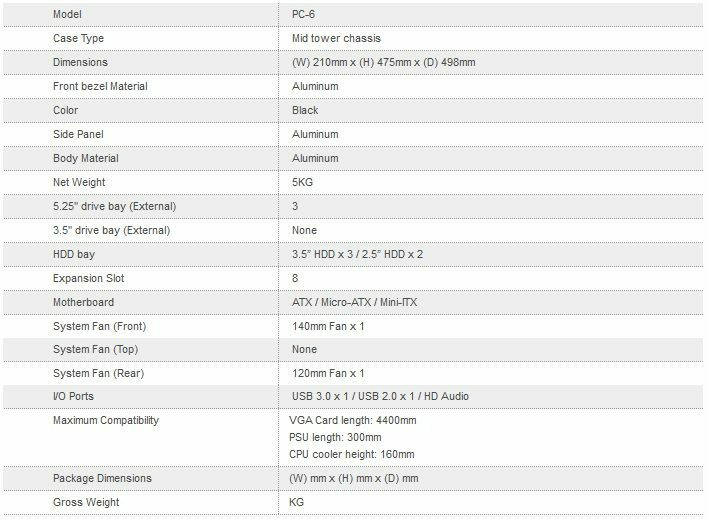 Wait… there is no external 3.5 inch bay? That is right, no floppy drive or multi-card reader options here; my 3.5 inch bays have been empty for years now anyway. 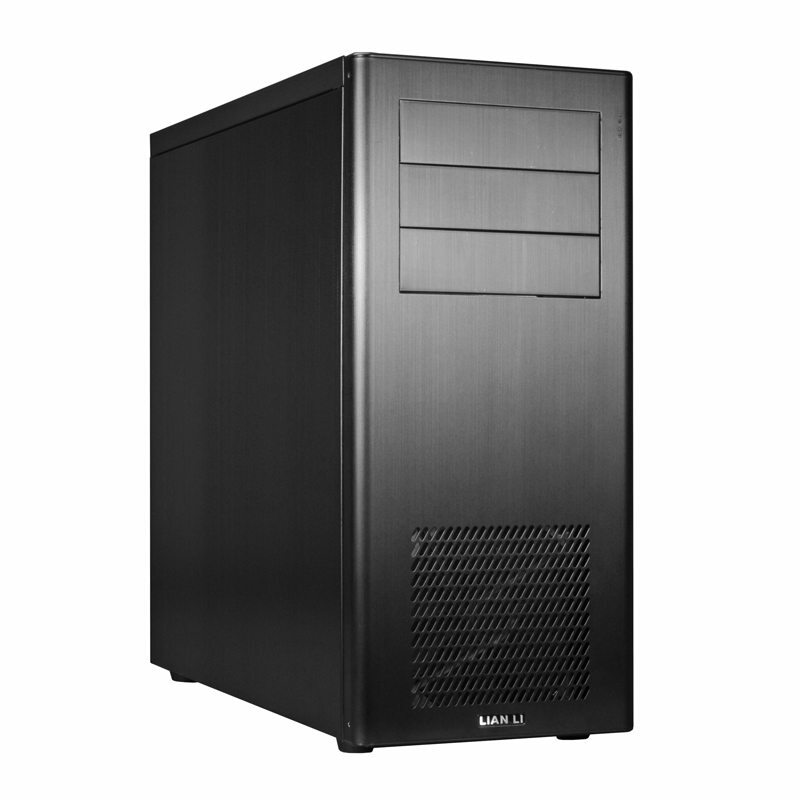 The Lian Li PC-6’s brushed aluminum exterior offers a functional and elegant twist to the PC Chassis market. The top mounted power button combines the utility and practicality that many case manufacturers cannot seem to mesh well. 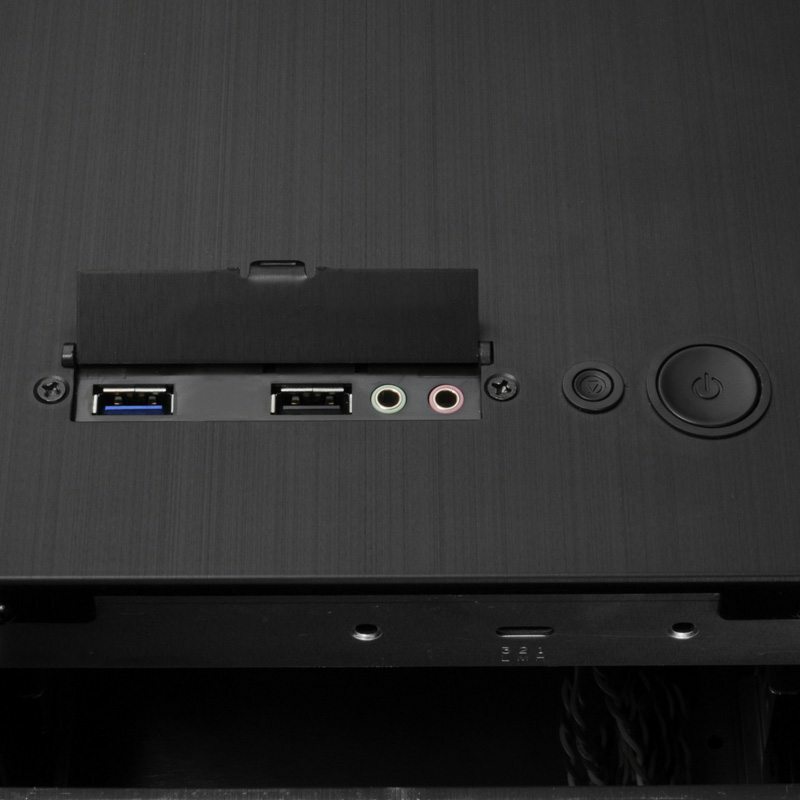 A quick glance to the left of the power and reset buttons and you discover the traditional Lian Li aluminum flip door that hides the USB connections and the audio connections. 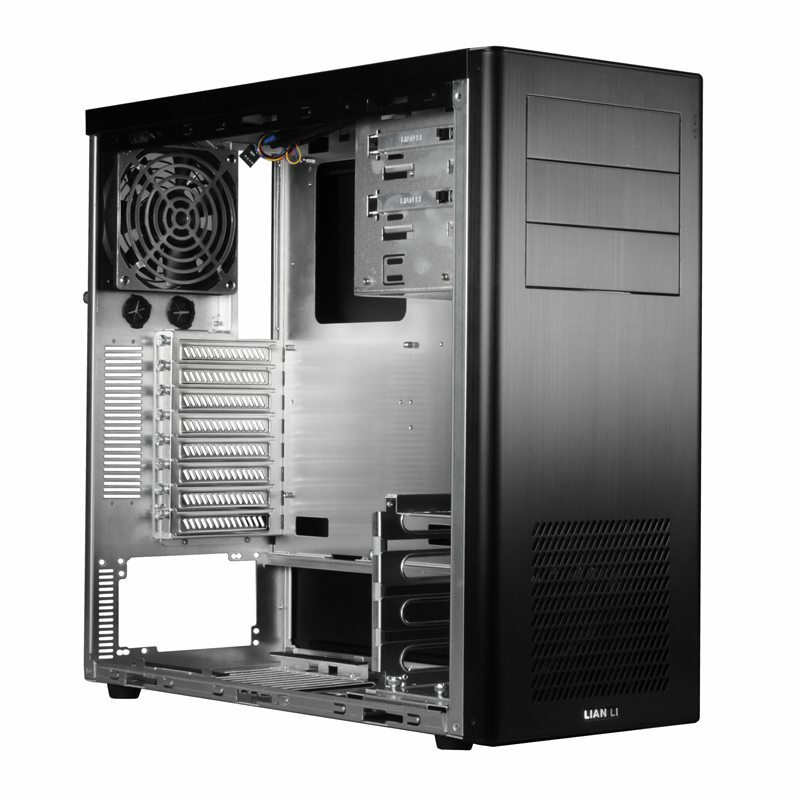 This design has become a standard and consistent element on the Lian Li lineup.